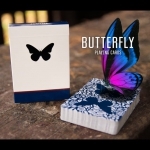 He has been showing and creating a huge expectation with teasers and mockups about his new deck. 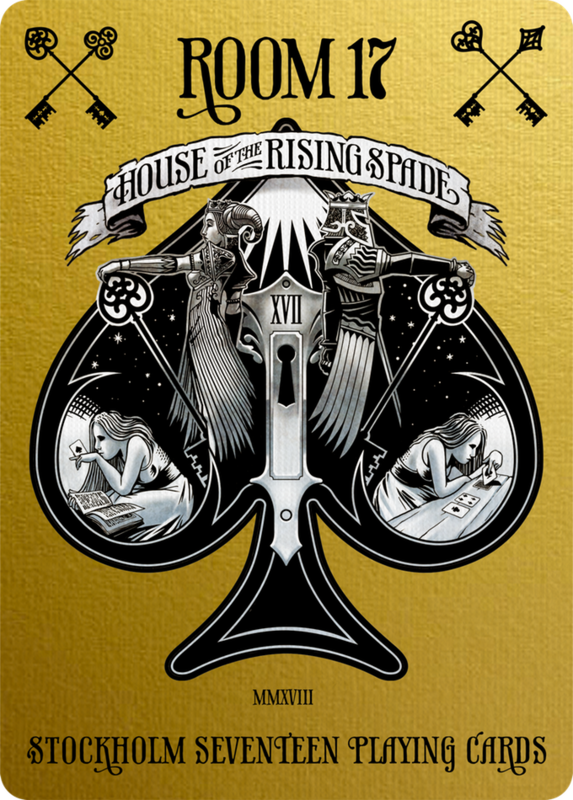 Finally, Lorenzo Gaggiotti (Stockholm 17 Playing Cards) launches his latest creation: THE HOUSE OF THE RISING SPADE. When a designer with the talent and imagination of Lorenzo creates a new deck, inspiration usually comes from many sources, and that makes you to discover something new every time you contemplate the designs. In THE HOUSE OF THE RISING SPADE the artist has taken esotericism and magic as the backbone of the illustration work creating a beautiful and disturbing atmosphere formed by mysterious characters with elaborate details that make them unique. The aspect, the distribution, the personality of its inhabitants, … everything is subject to the imagination of the spectator in which the suits represent the different rooms of this fabulous house with the key as the omnipresent decorative element. 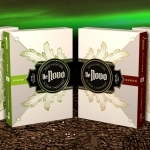 Three different editions have been created in the project. 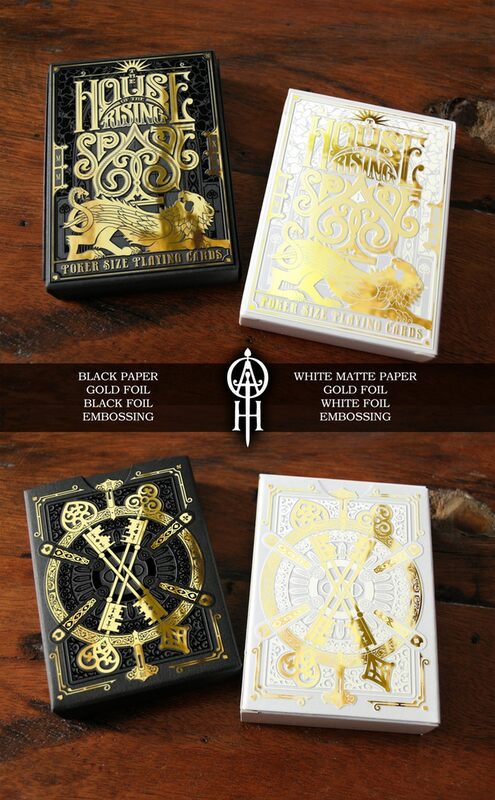 The Cartomancer edition recalls the cards of a tarot. Printed by Carta Mundi, its luxurious linen finish will be topped by the use of a brilliant golden cold foil on the back and faces that will not only decorate the borders but also some elements of the designs. The numbered cards will not use the traditional index but a numbering at the top. 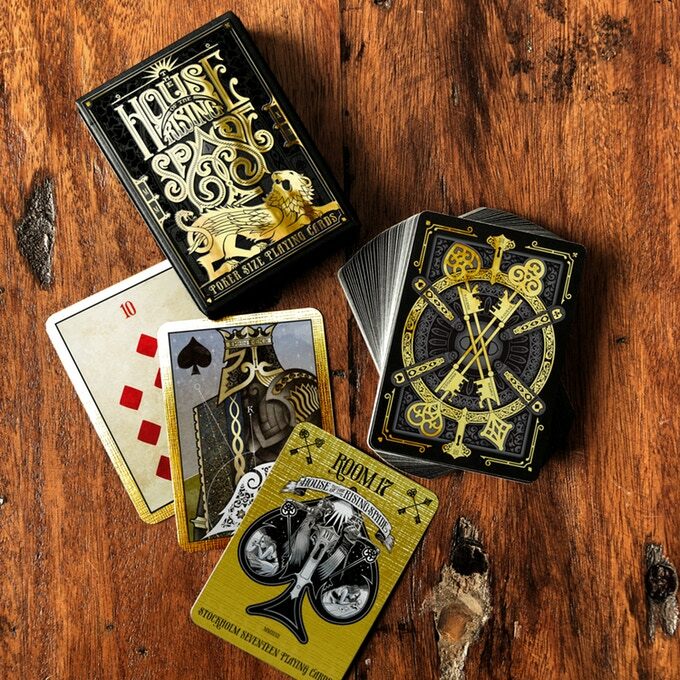 The Faro edition reinterprets the old decks of the 19th century without indexes or symmetries, simple but with that modern and magical touch of illustrations. 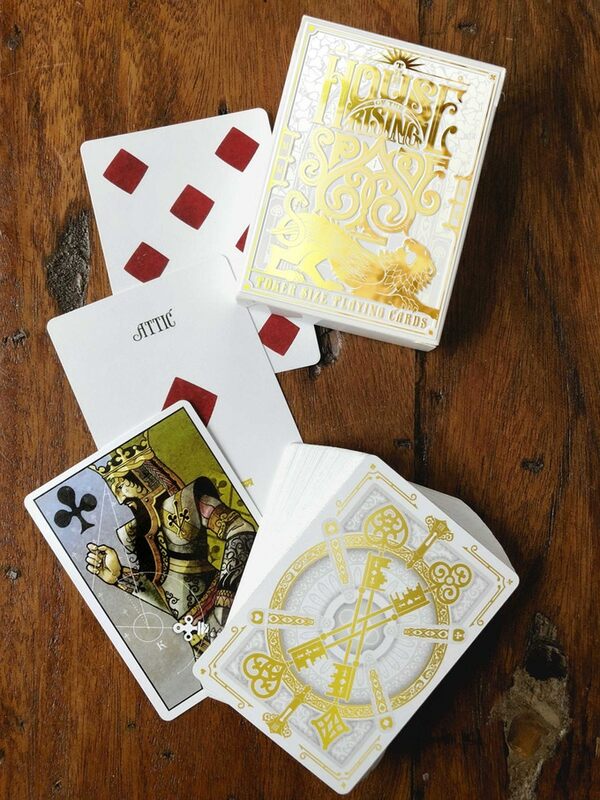 The artist got inspiration from Thomas Crehore (1820) and the Squared Faro deck by Russell and Morgan (1887-1900). It will be printed by the USPCC using their linen finish. The third deck, Gatekeeper, is still a mystery (not even with a kitten video I managed to get Lorenzo to show me any single image). 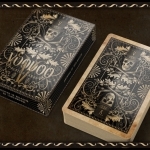 For the moment, we only know it will be a limited deck, exclusive for Kickstarter backers, which details are hidden and will be revealed during the campaign. If the cards are a display of artistic talent, Lorenzo has commissioned Lotrek (Oath Playing Cards), who will use gold foil and embossing on matte paper and black and white foil respectively. This way, Lorenzo has managed to choose the best companies for the best finish in each of the elements of the campaign. 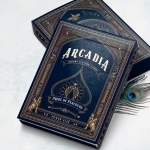 The quality of the standard cards by the USPCC, the cold foil on cards by Carta Mundi and the precision and beauty in the tuck cases by Oath Playing Cards. Another wonder of modern cards that you can not miss. Visit the project website and raise your pledge.